When it came to introducing solids to my first child, I was adamant about preparing homemade meals and offering as many nutritious, wholesome, and unprocessed foods as possible. Sure, I took some shortcuts to reduce some time and stress in the kitchen, but for the most part, I prepared virtually every meal from scratch. While I can appreciate convenient, ready-made baby food, balancing them with wholesome meals made with fresh, quality ingredients was the way I nurtured my kids’ adventurous palates and taught them healthy eating habits from the start. I found that feeding my babies homemade meals was the only way to offer them a variety of unique flavors—most of which I simply couldn’t find in processed baby foods. Avocado, pineapple, and tropical fruits were among the bigger hits in our household. It was easy to vary the profiles of recipes by adding a variety of dried and fresh spices and herbs. While I had a bit more culinary adventurousness in the kitchen, starting out with my first child was a little daunting. I turned to some help from baby and toddler food experts, and quickly gained the confidence to create my own recipes soon after. 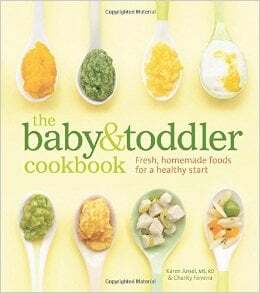 If you’re just starting out cooking for your baby, or are just looking to mix up your existing routine, here are the nine best no-fuss cookbooks for babies and toddlers to get you started on your culinary journey with baby. This cookbook is a fantastic resource for parents with children of all ages who are looking for basic recipes as well as more adventurous flavor combinations. There are more than seventy easy-to-prepare, fresh, and nutritious recipes for children aged four months to three years—most of which contain nutrient-dense superfoods as key ingredients, such as antioxidant-rich berries, protein-packed quinoa, and omega-3–rich salmon, avocado, and chia seeds. 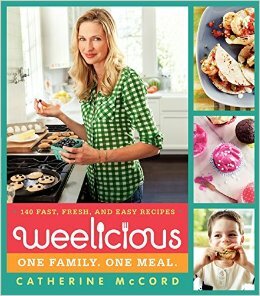 Packed with ninety easy-to-prepare recipes made with wholesome ingredients, this cookbook offers a fresh and nutritious approach to feeding children from six months to three years with additional tips for making foods ahead, using the freezer to maximum advantage, and making food fun for your toddler. 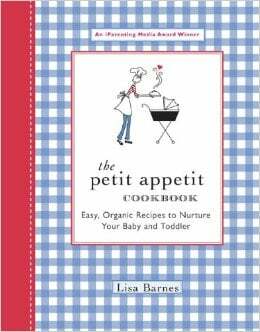 Those looking to further develop their children’s adventurous palates will love the recipes offered in this cookbook. 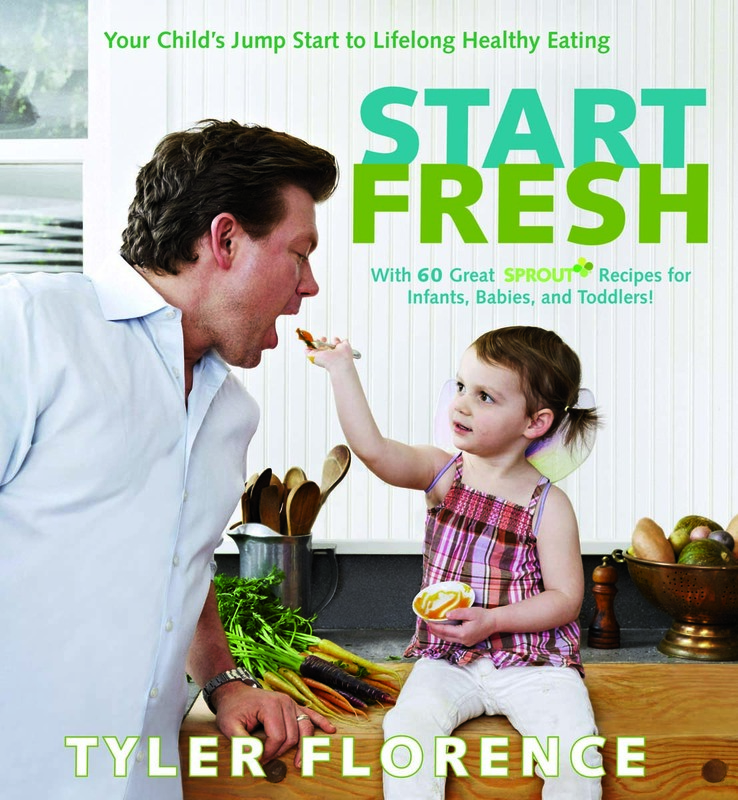 Celebrity chef Tyler Florence’s new baby food cookbook is divided into stages that start with steamed vegetable purees and build up to multi-ingredient meals for one year olds; and beyond that, there are recipes the whole family can enjoy. 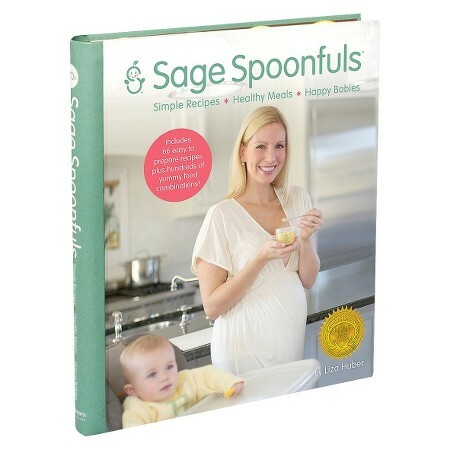 With sixty recipes that are quick and user friendly, this book will give parents the tools they need to prepare nutritious, unprocessed food that their babies will love to eat. This playful cookbook helps parents prepare a culinary adventure for the newest eater in the family and covers all the bases from what foods to buy, how to prepare them, how to store/freeze them, and how to feed them to your baby. With a focus on incorporating a variety of spices and herbs, as well as recipes that include international flavors, this is an ideal cookbook for parents who are adventurous in the kitchen and who want to cultivate adventurous palates in their children. 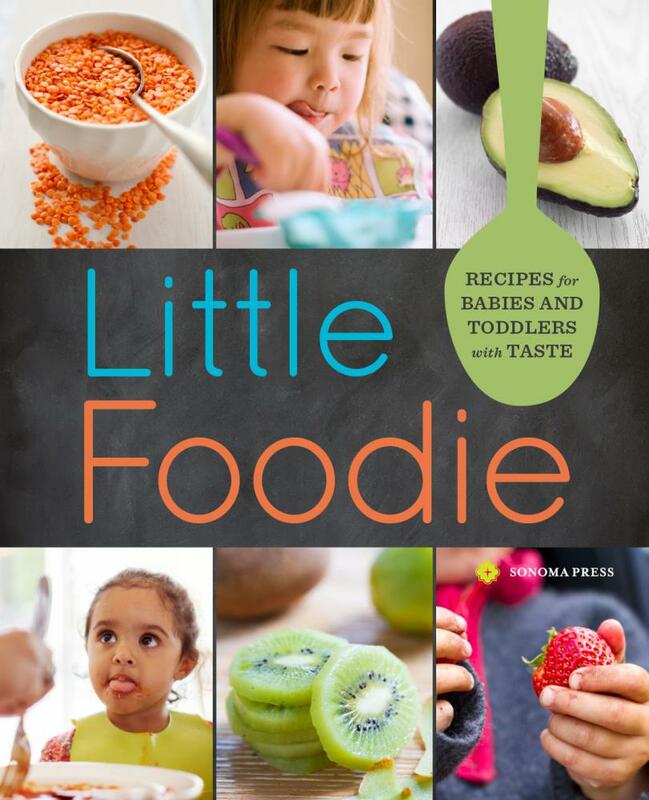 The eighty recipes in this cookbook will make preparing delicious, fresh meals for babies and toddlers a breeze—even for busy parents. The recipes are organized by age, with tips on how to introduce super-smooth purees, how to make chunkier foods for the intermediate stage, and how to graduate to toddler-friendly meals and finger foods. With hundreds of recipes prepared with a combination of made-from-scratch and prepared store-bought ingredients, this is a great resource for busy parents. Inside you’ll also find a variety of tips with details on everything from basic nutrition facts to food allergies, as well as which foods to avoid at specific stages of development. With the “one family/one meal” motto, this cookbook focuses on getting kids to eat by paying attention to how their food is prepared and presented—without being sneaky about it. On top of the delicious recipes, there are dozens of tips for creating easy, healthy, and quick recipes that moms, dads, and young children of any age will love. 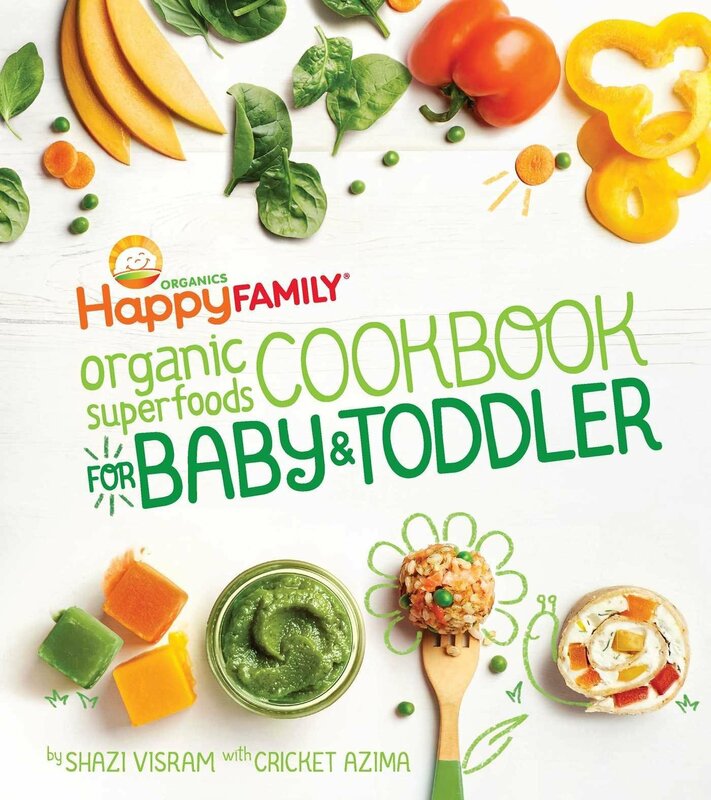 This cookbook is a great resource for parents who appreciate healthy, all-organic alternatives to commercially processed foods, and who are looking to help nurture more adventurous palates and positive eating habits for their children. It not only offers delicious recipes but also nutritional information for each, time-saving techniques, and instructions on how to easily adapt family recipes for younger children. 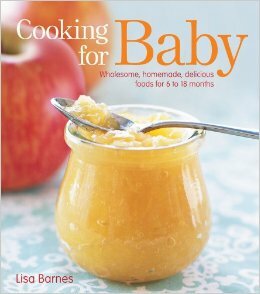 Packed with simple, practical advice for the initial stages of weaning, this is the perfect introductory resource for new parents. 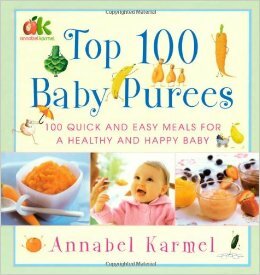 On top of 100 delicious and healthy purees, this cookbook also features first-month menu planners, tips to help parents encourage their babies to explore new tastes and textures, and answers to questions regarding fussy and messy eaters, allergies, and weight concerns.